This model is effectively the T5 but without a USB charging port on the back making this an amazing value alternative. Also comes in black. 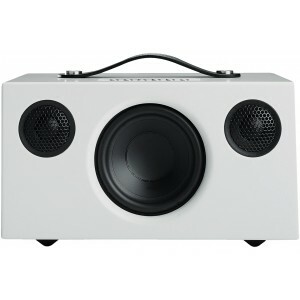 Audio Pro Addon T4 follows the extremely successful design of the Addon single box speaker. With a handle made of genuine leather and details of solid aluminium, the design is simple yet solid. With a total of 40W and advanced DSP, Addon T4 delivers a purely amazing sound from such a small speaker. 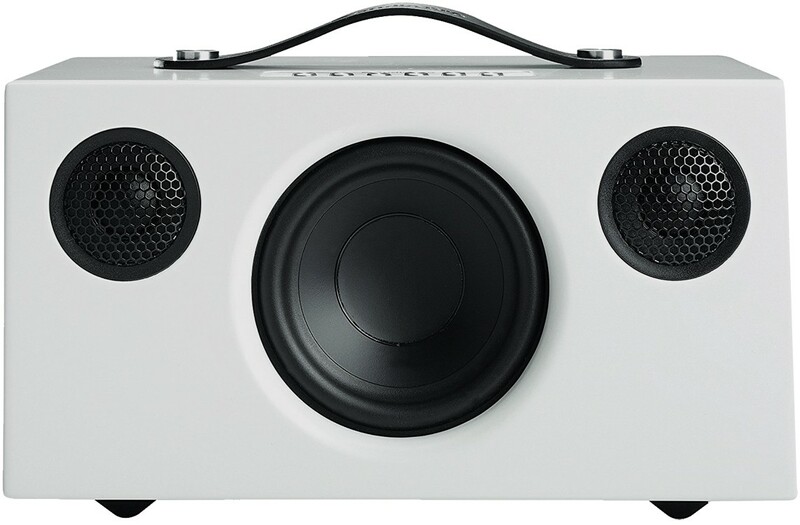 Addon wireless speakers use the latest Bluetooth standard for best sound quality and transmission. Play your music from any Bluetooth devices; iOS, Android, Windows Phone and Mac/ PC. Besides playing music wirelessly with Bluetooth, there is an additional audio input to connect other audio sources with cable.